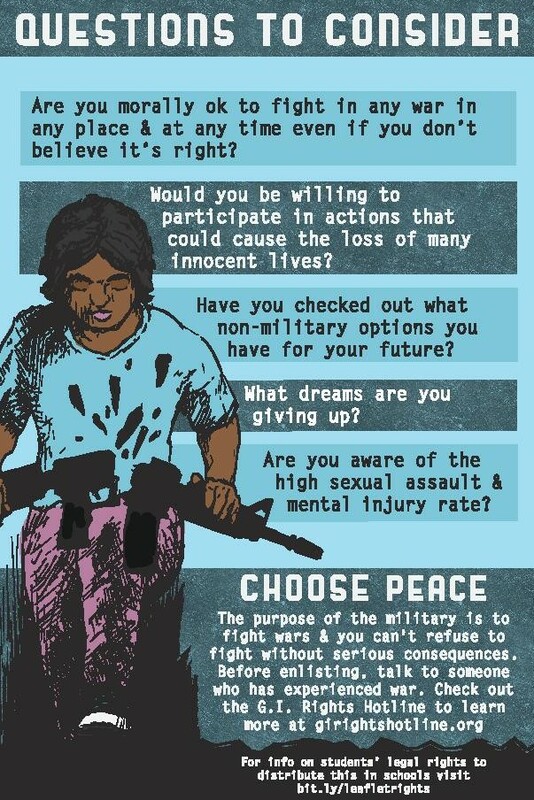 Check out this beautifully designed and engaging palmcard that lays out WRL's campaign against police militarization, and for real safety and community needs. 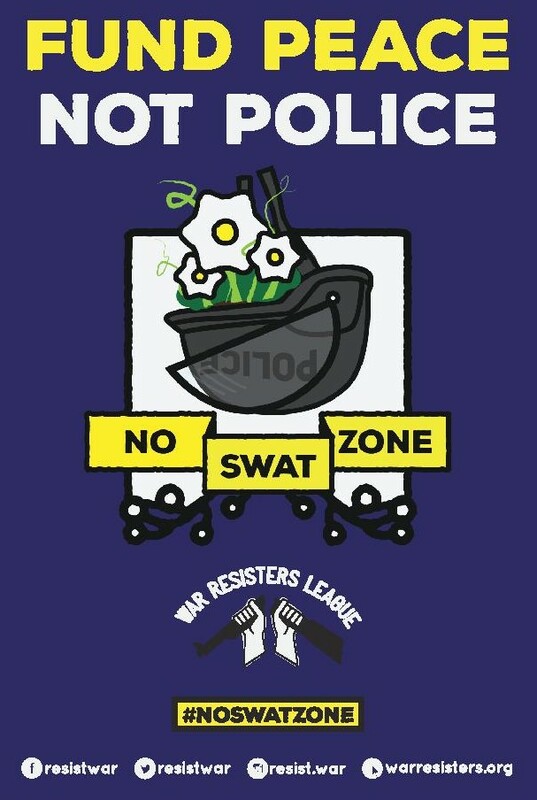 Building with the incredible movement energy around ending police violence, #noSWATzone is helping bring together communities harmed by militarism, racism and policing to fight back! 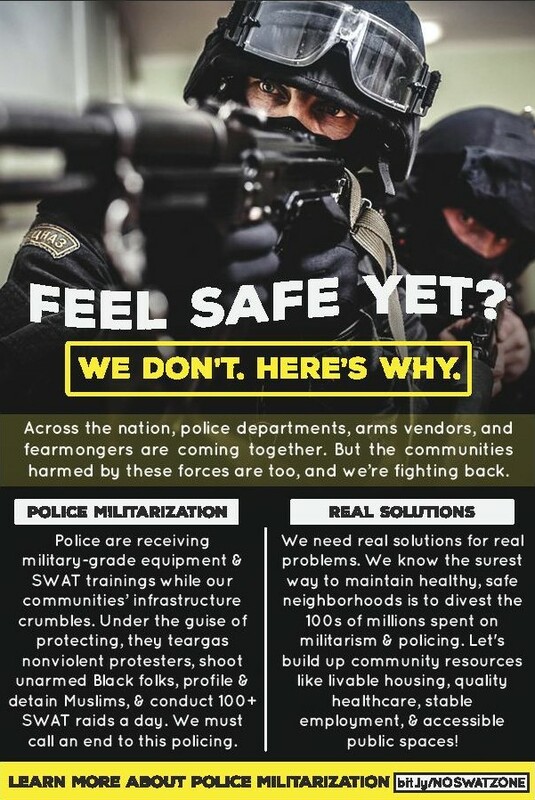 For more, check out #noSWATzone and Police Militarism. 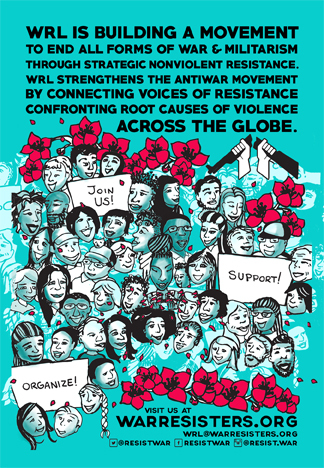 Learn more about WRL's mission and your place in the movement to end all forms of war and militarism here and everywhere! 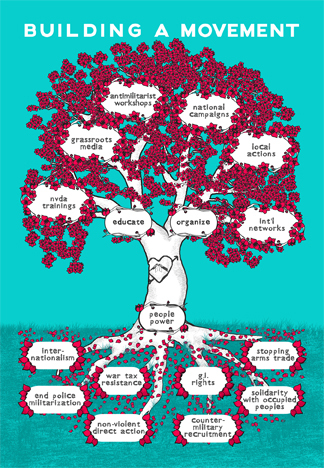 Want more information on how to become a member? 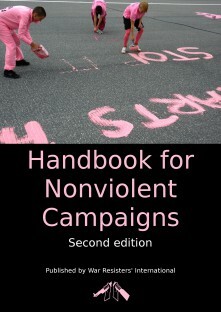 Check out our Member Handbook!